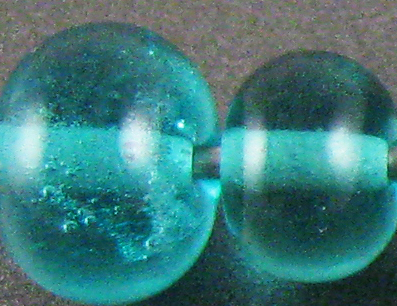 Poolside (CiM553) is a beautiful light teal transparent. Like with other light CiM transparents, I found that this one had a tendency to boil, but that you can avoid that problem by working further up in the flame and being careful not to overheat it. 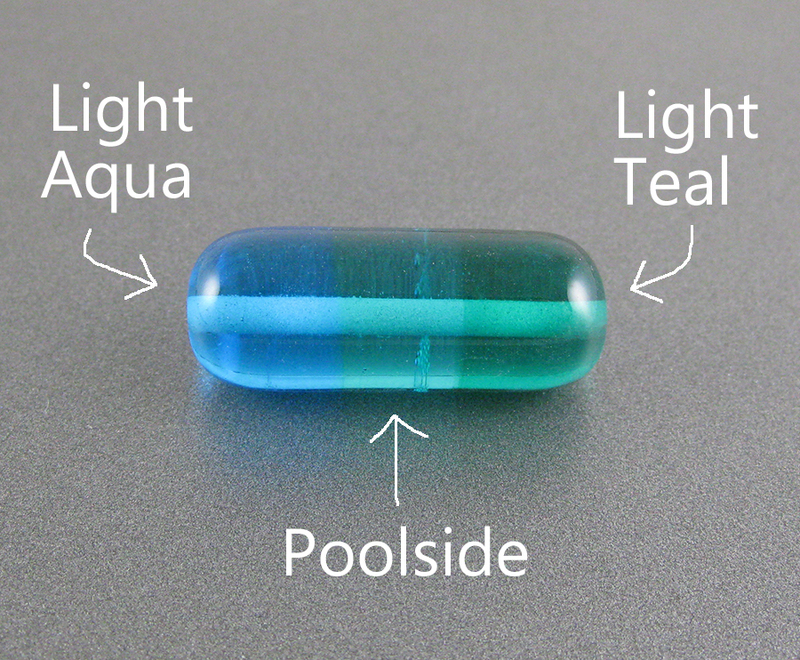 Reducing Poolside does not alter its colour. 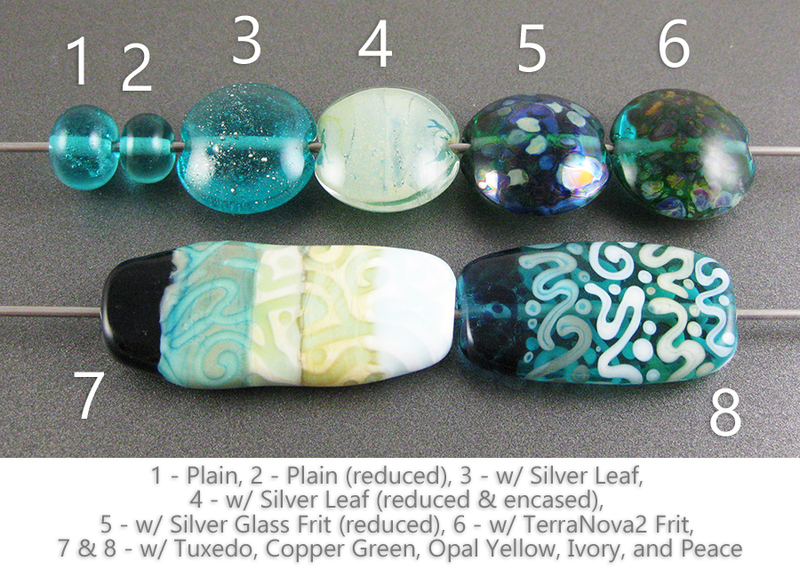 The smaller bead looks darker here only because more of the darker grey background colour shows through less glass. Poolside, huewise, falls somewhere between Effetre Light Aqua and Effetre Light Teal, with just a smidgen less saturation than either of those colours. It's bluer than Light Teal, but greener than Light Aqua. On top of Poolside, silver leaf balls up and disperses. If you reduce and encase it, it forms a greyish blanket under the clear layer. I got nice colour from my TerraNova2 frit on top of Poolside. 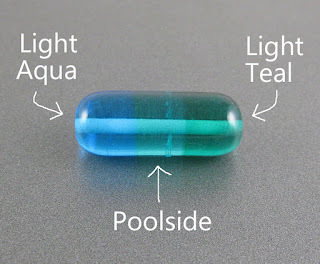 The most interesting thing about Poolside is how mildly it reacts with Ivory. Other teals and turquoises form an intense dark line reaction with Ivory, but Poolside developed only a faint brown reaction when used on top of it, and no dark reaction at all when Ivory was on top. Poolside separates Copper Green, Opal Yellow, Ivory, and Peace. I don't have anything else to show you with Poolside yet, but if that changes I will come back and update.